Thanks to Luca Belcastro for coming to Lima and work with our students at the PUCP. 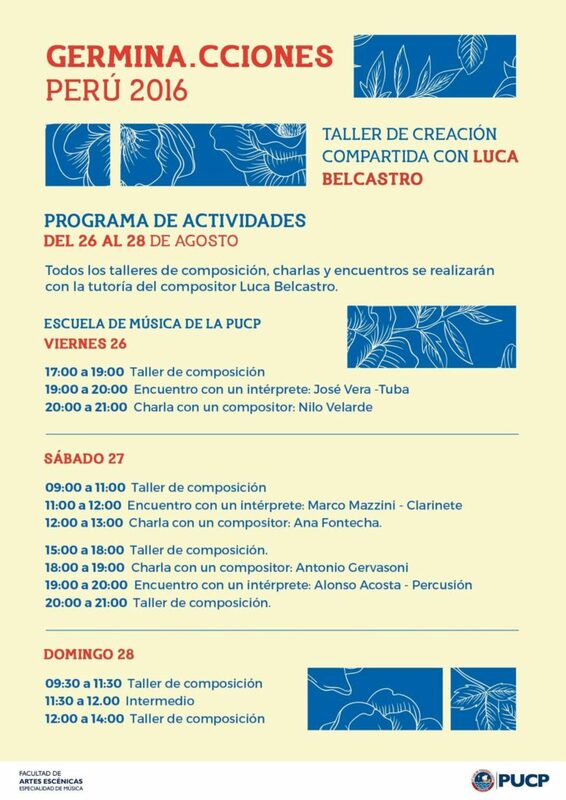 And thanks to Germina.Cciones Perú 2016 for inviting me to participate with a seminar about my compositions. The audience were very interested and it was a lovely morning.